Artyplan is a major force on the Barcelona graphics art scene, with six sites and 80 staff. Service has always been key to its success. 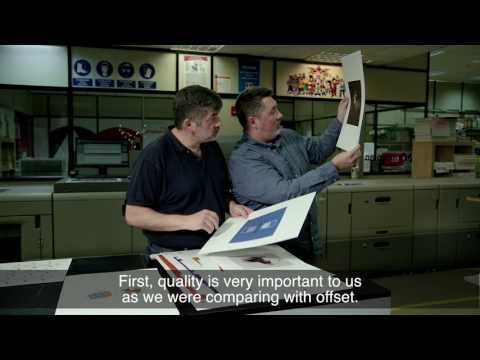 And a recent investment in a Ricoh Pro C9110 colour sheetfed press has enabled this innovative print service provider to deliver even better service to its clients. And to switch work from offset to digital production. This film explores with Artyplan's CEO and Production Manager what they were looking for in a new digital press and how the Pro C9110 has measured up against expectations. Flexibility, media versatility and the presses long printing capability are all highlighted. As well as their satisfaction with Ricoh: 100%.